Hillel Cohn specializes in securities regulatory matters, including representation of foreign banking organizations, broker-dealers and investment advisers on securities compliance and regulatory issues. Mr. Cohn assists such clients with designing their operations and products to comply with applicable laws, provides advice on securities compliance issues and provides counsel in their dealings with the SEC, FINRA and other U.S. regulatory authorities. In addition, he has worked on a number of acquisitions, joint ventures, correspondent agreements, financings and restructurings of broker-dealers and investment advisers. Mr. Cohn also advises public companies with respect to corporate governance, SEC compliance, securities offerings, mergers, acquisitions, and joint ventures. He has extensive experience handling public offerings of equity, debt and real estate securities and has also represented a number of emerging technology and life science companies in dozens of venture financings. Mr. Cohn assists public companies ranging from small-cap issuers to NYSE listed companies with SEC reporting and compliance. Mr. Cohn has counseled a number of public companies with respect to the design and implementation of corporate governance policies and procedures. He also has acted as special counsel to special Board committees appointed to evaluate strategic options, including going private proposals, conduct internal investigations, or review proposed related party transactions. Mr. Cohn assists public and private companies with mergers, acquisitions, joint ventures and similar transactions, with notable experience in handling cross border acquisitions and international investments. He has assisted a number of U.S. companies in establishing business operations in China through joint ventures and other business arrangements and he has represented a number of Japanese companies in their acquisitions of publicly held U.S. companies. 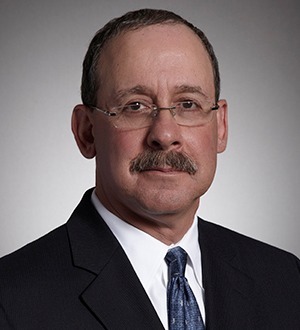 Prior to joining the firm, Mr. Cohn worked for the SEC for seven years and in private practice for 23 years. He has also been named as a 2007-2014 Best Lawyer in America in the field of Securities Law and listed in Super Lawyersmagazine from 2004-2013. Mr. Cohn serves on the Greater Los Angeles Division Board of Directors of the American Heart Association.